Do You Know These 3 Hidden Dangers Of Touchscreen Devices? Living with twenty-first century touchscreen technology has been awesome, but could it be coming with a cost on our health? Although we are currently using touchscreen devices for most daily activities with smartphones, tablet devices and touchscreen computer monitors, these devices actually do come with some often forgotten negative health aspects. These problems will only increase as society becomes more and more dedicated to touchscreen devices. Before I dive into the other problems, it’s necessary that I address the worst first. 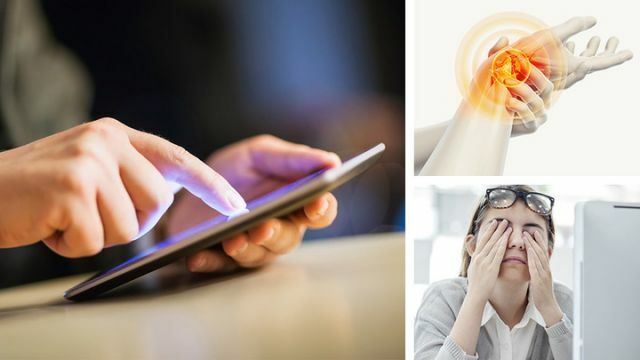 While we repeatedly use our touchscreen devices, we need to be wary of repetitive stress injuries that affect our joints, muscles, tendons and nerves. A prime example of this would be for people that use thumbs to type on smartphones. From text messages to emails, to various other things, our thumbs can become overused and some people can develop De Quervain Tenosynovitis, a pain in the tendons of the thumb. The link between touchscreen users and people that over type on keyboards isn’t as strong, but there is evidence to support touchscreen usage and hand pain. Our touchscreen can cause unnatural bending of our wrists, which anatomists call dorsiflexion, an odd bending of the wrists. Additionally, when we forcefully touch our screens, such as with a phone game or slightly aggressive text message, it can be harmful to our muscles and tendons in the hands and arms. This is called isometric tension, a problem created by the force against the screen. Unlike a laptop or desktop computer, our touchscreen devices cause us to hunch or sit in awkward positions. In a study by InfoWorld, researchers found the touchscreen’s cause the user to develop poor posture and unnatural positioning. Touchscreens with smaller fonts make it a struggle for our eyeballs. In a way, it is a double edge sword because although new technology is a strain on our eyes, images are definitely clearer. 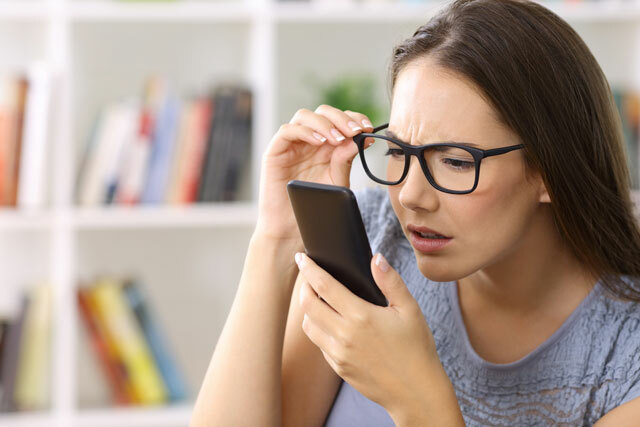 There is actually a term called “computer vision syndrome,” which is caused by looking at the high-resolution screens associated with touchscreens, especially newer models. Symptoms are eye pain, redness, blurred vision and headaches. Overall, because touch screens are so ingrained in our society, more research will have to be done to counter potential new risks. Have you experienced any side effects of touchscreen technology? Let us know! Hey Buddy!, I found this information for you: "Do You Know These 3 Hidden Dangers Of Touchscreen Devices?". Here is the website link: https://www.thealternativedaily.com/dangers-of-touchscreen-devices/. Thank you.